Comments: Hope Kyle (Nee: Spice) | NJ United States | 1851-1900 | Comments: Marion Caven Spice, Caven, Spice, Helen Davidson, Davidson, Buffalo, Scotland, Canada, 1893, 1885, 1882. Written on back: Marion Caven Spice, age 8 Helen Davidson, age 11 July 22, 1893. The girls were third cousins, once removed. 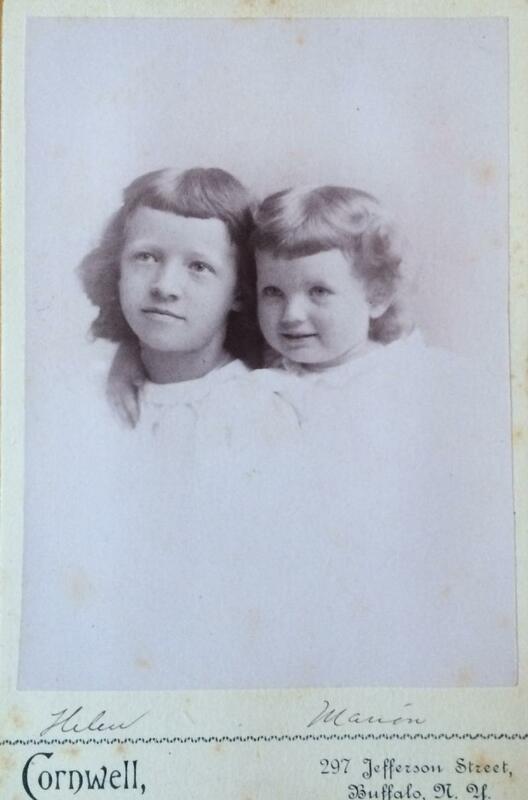 Photo belonged to Josie Cronk Davy of Houghton, NY.